Rainbow Lightbox in MAKE: Vol. 61 — Wonderful Idea Co.
We're excited to announce that Nicole has an article and step-by-step guide in the newest issue of MAKE: magazine on building a rainbow light box (or color quantizer). It's made out of mylar and scotch tape, and it lets you mix colors of light like paint, using your own shadow. This project was inspired many years ago by a kit developed by the Japanese artist Taizo Matsumura. His kit was for a small cardboard box filled with mylar tubes. 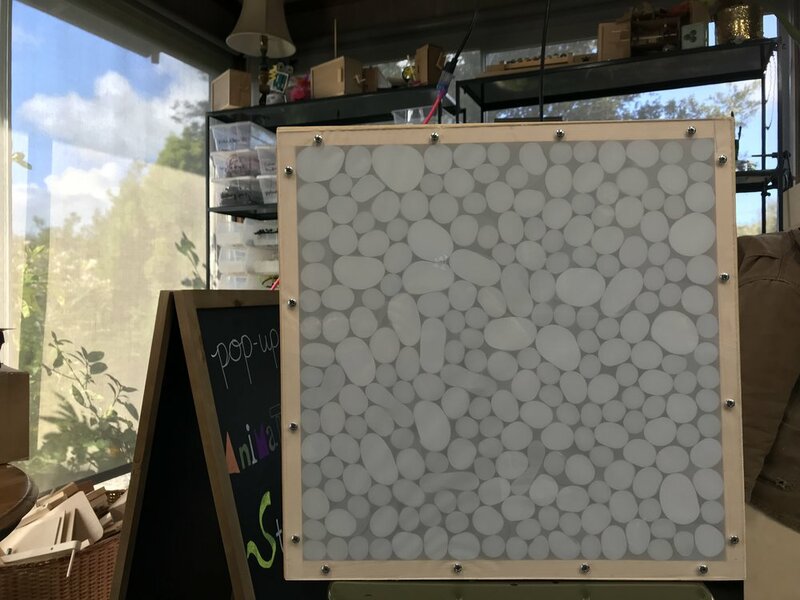 Ryoko introduced the Tinkering Studio group to the idea and the subsequent exhibit walk revealed some of the interesting ways that the mylar box could be a tool for exploring light and shadow. Nicole fell in love with the mylar tubes, and the lovely things they do to light. After a lot of experimentation, she discovered that by combining them with an RGB light source, you can turn red, blue and green light into every possible hue. Over the years, she developed this idea into a several different versions, including a large wall and a table that people can sit around to experiment with light and shadow. For the MAKE: article, she's provided the steps to create the basic building block that hopefully will get remixed and reconfigured into new project iterations. And in this volume that prominently features women makers, we're proud to include the project by Nicole (and the hand modeling skills of Andrea complete with manicured nails using power tools)! We hope that you can pick up a copy of MAKE: and if you build a lightbox (or take the idea to new heights) we'd love to see the results!